My first year on Etsy! Even though I opened my Etsy shop in 2011, it was not active for several years-until I jumped back in full-force in the summer of 2014. Once we moved to Roanoke and I had my own space to create and store my art, I re-launched my shop and learned a ton about selling art on Etsy. 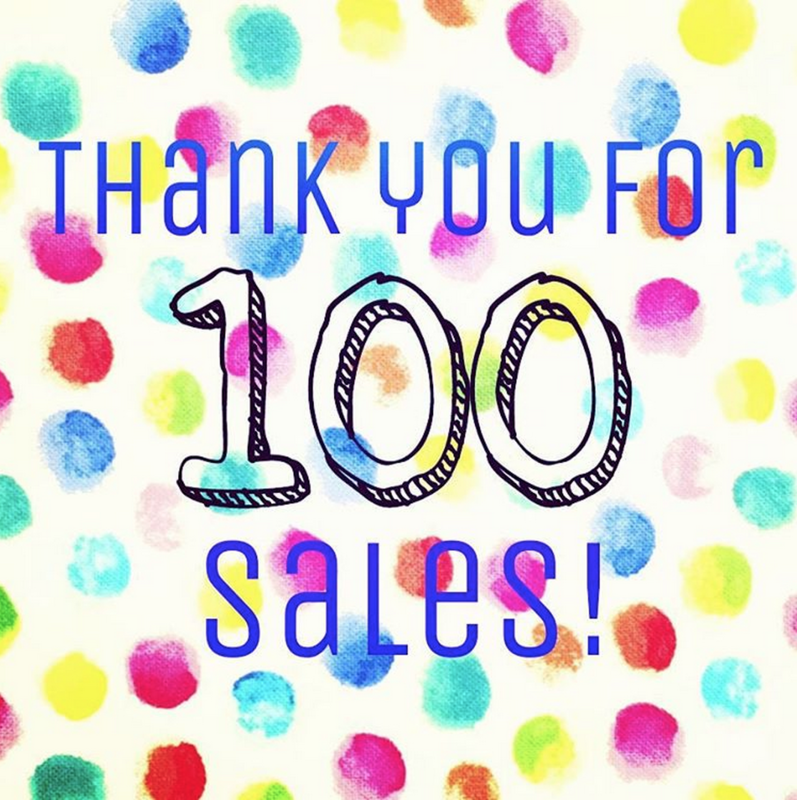 And after 1 year, I am proud to say that I hit the first big Etsy milestone: 100 sales! 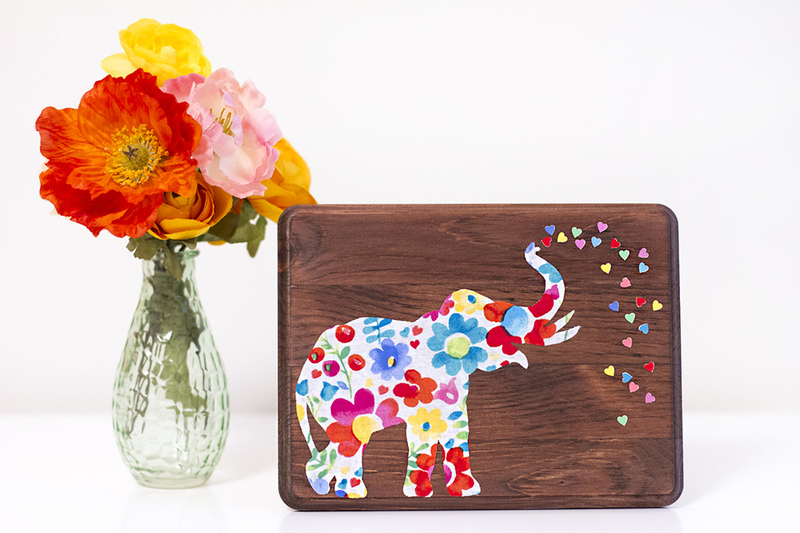 My 100th order was this colorful elephant sign! I am lucky enough to have an unusually high number of reviews from people who have placed orders with me. They are all rated the highest possible: 5 stars! Yay! Thank you all for your support, I look forward to another great year ahead doing what I love! Previous Previous post: Happy Fall! Next Next post: Storm Watch!